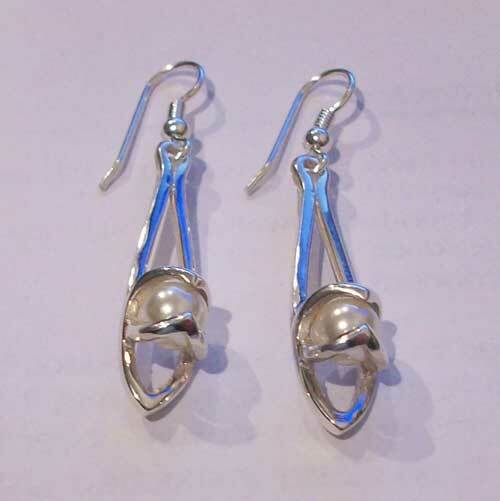 The Enya Silver Earring designed by John M Hart of Hebridean Jewellery. A contemporary Earring set with a Pearl. Supplied in a wooden presetation box.